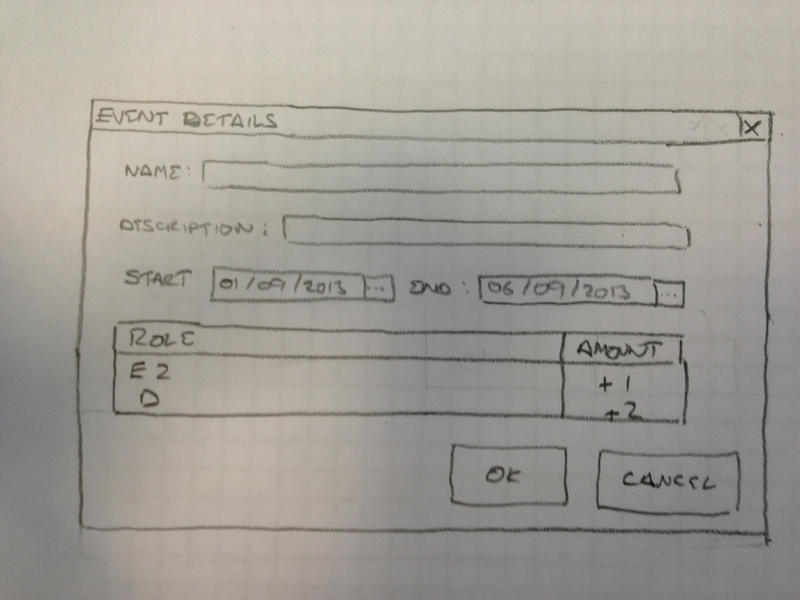 I like using wireframes as a very cheap and cheerful way to chat with product users about what they could get. It’s a great way to drive out ambiguity — everyone can gather round a picture and agree that this particular picture does the sort of thing they want, in the kind of way they expect. You can get a long way with a good picture. Pop this in front of a customer and they tend to be able to see that it’s doing what they want, or they get the feeling that it’s not good enough, and a conversation ensues that saves you a whole bit of development. The grid is a 5mm grid printed out from http://www.printfreegraphpaper.com/, and laminated. 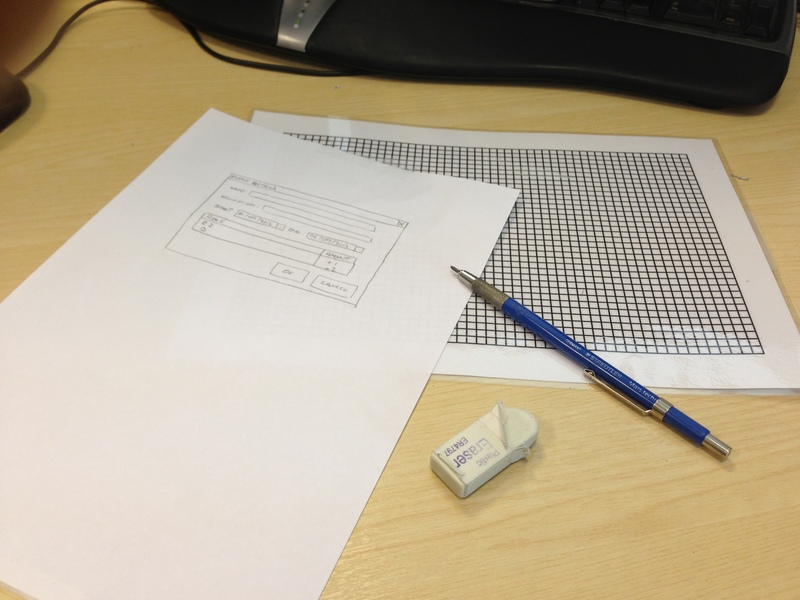 When you pop it under a piece of paper, the grid shows through and you can sketch out windows, scrollbars, and dropdowns to your heart’s content. If you need to get these onto a computer — say, to email them or stick them in Word — take a photo with your phone and upload it. I take a photo and open Dropbox on the phone; the picture is uploaded and ready to go. So, not entirely lo-fi. But you’ve got a smartphone already, don’t you? And if you enjoy that, you’ll probably also enjoy the Hipster PDA.